Kenny Jackett saluted the addition of Lee Brown’s voice to his defence. 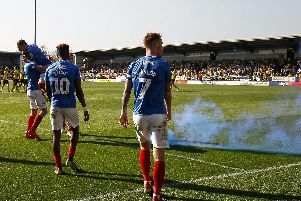 The Pompey boss believes Brown’s experience is going to prove crucial in getting his side to produce the defensive resilience needed to be League One contenders. Jackett feels his back line conceded too many goals last term, especially when considering the quality of defender at the club’s disposal. That’s something the Blues boss has set about remedying this summer, with Brown’s arrival from Bristol Rovers a big move on that front. The former QPR man’s arrival adds a leading voice and character to the dressing room. That’s something Jackett feels has been needed. The Pompey boss said: ‘He’s very experienced player for someone who is 27. It is a plus point, very much so. ‘He knows the division and knows his own game. 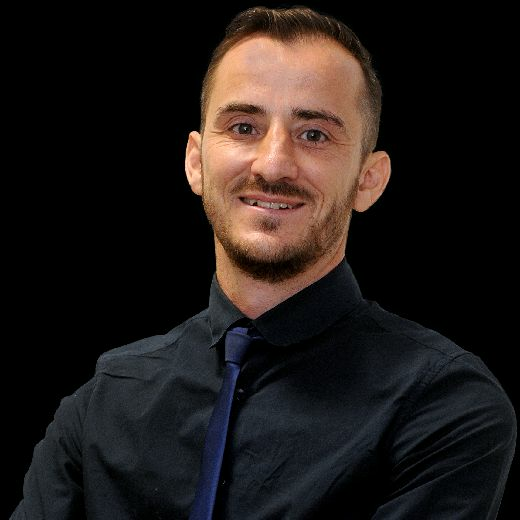 He’ll up the organisation, talking and experience. ‘I do think we’ve needed that at the back. We did concede too many goals for the standard of defenders we’ve got. ‘Lee can bring some experience to the back line which I think we’ve really needed at times. ‘The likes of Whatmough and Clarke are young lads who are a year older. ‘Burgess is back in this division after time in League Two, and can really go one better. ‘He had very good spells last season and added to the likes of Thompson. ‘There’s Haunstrup and Donohue, too, and suddenly there’s a good platform to work off and that’s what we need. Jackett felt there were too many times last season when defensive slips undermined the work Pompey were putting in on the front foot. He wants his players to have confidence that gaining attacking rewards isn’t let down by shipping goals which are preventable. Jackett added: ‘While I do get the game is going forward and scoring goals, and you do need to do that, when soft goals go in against you it drains the team and it drains the crowd. ‘It drains the confidence out of you and you need to be in games. You can be in situations where you work very hard to score. ‘Then a goal or two goes in at the other end and they’re soft goals, it can leave you a bit of a mountain to climb mentally. ‘For us, for the standard of defenders we have, we gave away too many goals - 56 conceded in the league. ‘You need to be in and around a goal a game to be in the top two or three of the division. ‘The top two were way below that last season, but you do need to get inside a goal a game really. That’s just a platform to go forward.